Dr. Jennifer Avegno, director of the New Orleans Health Department and an emergency medicine physician at University Medical Center, wants participants to get the most out of the celebration while keeping some things in mind when it comes to safety and health. Know your surroundings, plan out your transportation, and stay with other people. Though the city’s neighborhoods are historic and picturesque, it’s easy to get lost. “Wandering alone makes you easy prey for assault and/or theft, particularly if you’ve been indulging in alcohol,” Avegno said. Also, roads in New Orleans are sometimes uneven; add in alcohol and rainy weather, and you have potential injury, like a sprained ankle. According to Lt. Jonathan C. Fourcade of New Orleans Emergency Medical Services, there were 809 parade-related calls for services in 2018; There were 93 parade-related calls last weekend, but more are expected this weekend as Fat Tuesday approaches. A combination of excessive drinking and hours without water can result in dehydration. The National Academies of Sciences, Engineering, and Medicine recommends that women and men take in 2.7 and 3.7 liters of water, respectively, daily. Or try toting foods that have high water content and are easy to carry during parades, such as strawberries, watermelon and celery, the US Department of Agriculture says. Binge drinking — defined by the National Institute on Alcohol Abuse and Alcoholism as four drinks within two hours for women and five for men — can be dangerous in the short and long term. It can result in a blood alcohol concentration of 0.08 grams per deciliter, exceeding the threshold for driving under the influence. 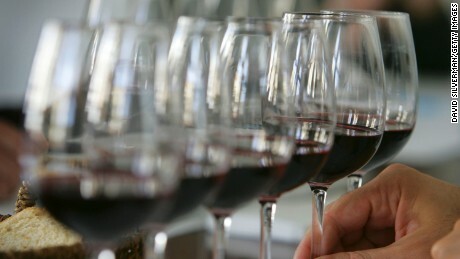 New Orleans laws allow drinking alcohol during parades, as long as it is in a plastic cup. “Watch out for flying objects!” Avegno warns. Facial injuries like broken noses, fractured teeth and eye injuries can occur from the impact of a pack of beads or other trinkets that are traditionally thrown from parade floats. Locals know that New Orleans weather is not always consistent: humidity, heat, rain, maybe all three simultaneously. To conquer anything the weather throws your way, bring clothing that will prepare you for anything. Don’t forget sunscreen and a hat; the sun’s rays can affect you even through clouds. Ultraviolet rays have the potential to damage skin in a mere 15 minutes and result in a painful sunburn. Over time, these rays contribute to premature aging and cancer. The symptoms of sunburn appear about four hours after exposure. Additionally, the presence of humidity increases your risk of developing heat-related illness, such as heatstroke, because it interferes with your ability to sweat and properly cool off. This can cause the body’s temperature to rise faster than it cools. 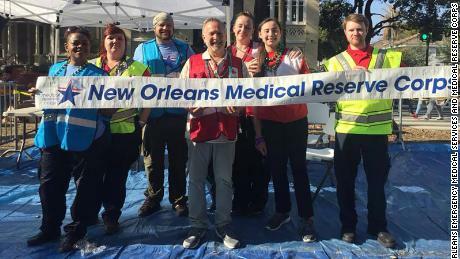 If you do run into health problems while in the Big Easy, the American Red Cross has partnered with the New Orleans Emergency Medical Services, the local health department and the local Medical Reserve Corps to offer first aid services along parade routes until Fat Tuesday.